What does a chief information officer have in common with Kevin Bacon? Mathematics. The Six Degrees of Kevin Bacon Game has been around for a while. It proves that all of us are more intertwined with society than we give ourselves credit for. My brother-in-law used to work for Robert Rubin at Goldman Sachs, and Robert Rubin was President Clinton’s Treasury secretary. So I’m only three degrees away from Bubba. Anyway, now we are all Nth degrees away from any person or topic, in the world of Wikipedia. 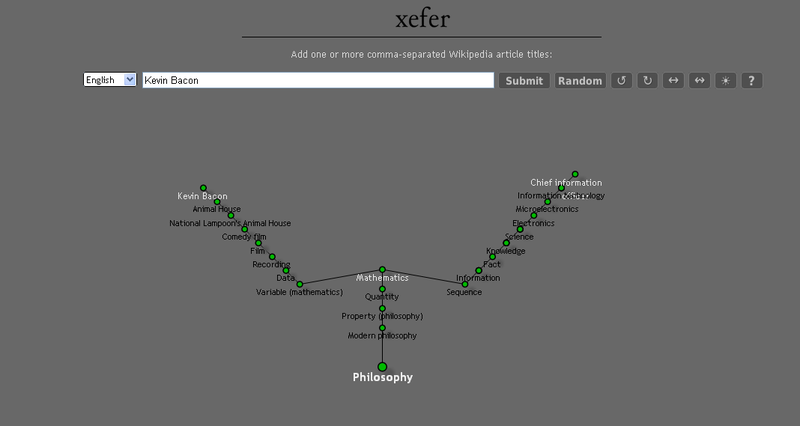 Web geeks have discovered that in about 99% of the cases, any term in Wikipedia will eventually lead to the topic philosophy. It follows that a term can be connected to any other term. The common root term of chief information officer and Kevin Bacon is mathematics. Want to find out more? Try out xefer’s tool for yourself.